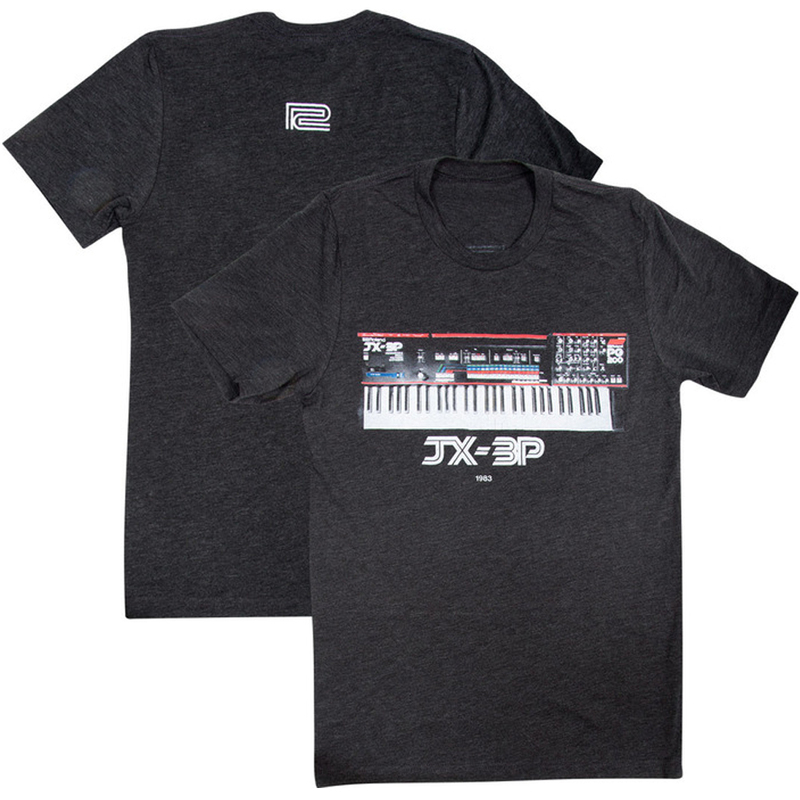 Official Roland JX-3P T-Shirt. Roland Authentic Clothing is created to be as classic and timeless as the iconic Roland product lineup itself. Produced from the finest fabrics, with careful attention to detail in every stitch. Soft, comfortable 100% cotton crew-neck T-shirt with a bold Roland design for stage or street wear.